The Kingdom Ministry School 2018 is a training school for circuit overseers, elders and ministerial servants of Jehovah’s Witnesses. To that end, this is an “opportunity … afforded … congregation servants throughout the world of coming together at the Kingdom Ministry School to get a training that will help them to do just what the Bible says an overseer should be able to accomplish”. 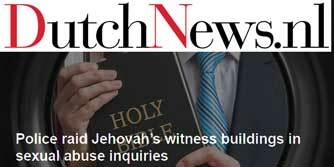 The real intent of these talks is to ensure that the circuit overseers, elders and ministerial servants remain in complete obedience to the governing body and the organization behind Jehovah’s Witnesses. It’s interesting to think most grown men that will attend this one day seminar will be unable to see the undue influence being pushed upon them. 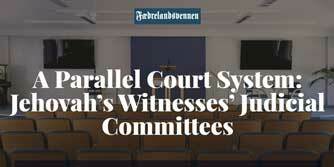 Here is the list of the 12 talks being given to all the circuit overseers and elders of Jehovah’s Witnesses around the world between 2017 and 2018. Do You See the Fiery Chariots? Jehovah’s Celestial Chariot Is on the Move – Are You? Humility or Ability – Which Does Jehovah Prefer? Symposium: “Continue Applying Yourself … to Teaching” – Practice! Practice! Practice! – And Do So Out Loud! 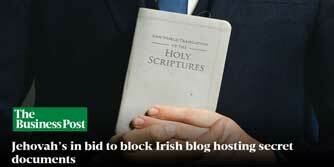 ← Jehovah’s Witnesses – Open or Secretive?